Give your skin a clean break with this rich and creamy foaming cleanser, which whisks away dirt and impurities without stripping the skin for a fresh, conditioned complexion. Formulated in the world’s ‘sk-innovation’ capital, South Korea, this patented pore-minimising formula features refreshing apple, peach and citrus fruit extracts, melting away excess oil and make up, to deliver a result that’s as thorough as a double cleanse. 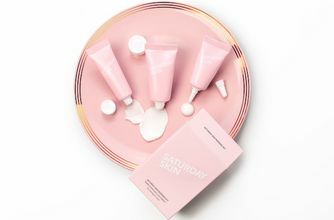 Refresh your skin without stripping it of essential moisture with Saturday Skin’s Rise + Shine Purifying Cleanser, a rich and creamy foaming cleanser that melts away impurities. Crafted with lavender, rosemary and citrus oils, plus apple, peach and tropical fruit extracts – from pineapple to kiwi – this naturally-fuelled, patented formula helps to minimise the appearance of pores, whisking away dirt, oil and make up to leave a fresh, revitalised result. Respecting your complexion’s delicate balance, the cleanser does not strip skin of much-needed moisture, instead balancing hydration levels to leave it silkily conditioned as well as comfortably clean. 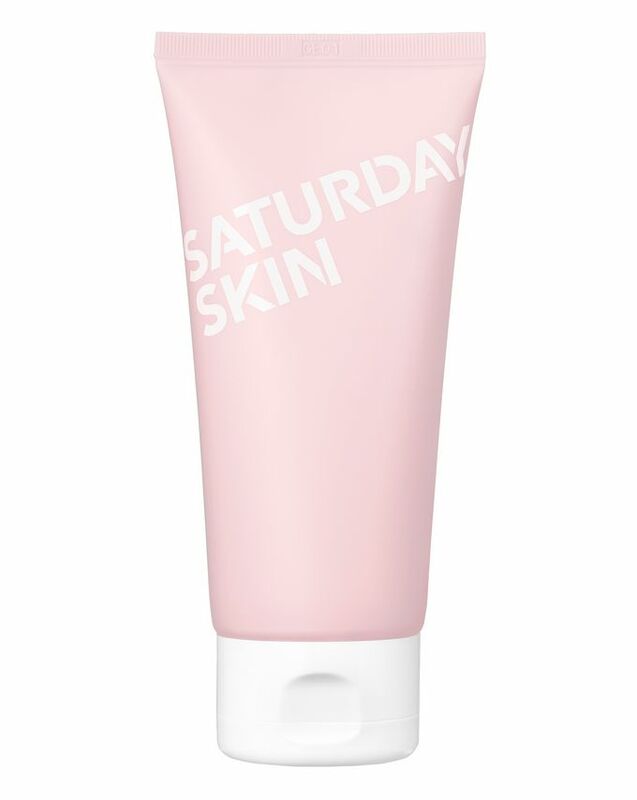 Saturday Skin is the South Korean skin saviour that promises to give you that ‘start of the weekend glow’ any day of the week; all products are enriched with the brand’s signature Cha-7 es Complex, an exclusive peptide formula that promotes skin's natural regeneration process to maintain youthful glow. This is definitely not a Make Up remover or 1st cleanse at all but as a second cleanse it does it´s job. For me personally I didn't like the "soapy clean" feeling the skin has after using it but this is my personal preference. My skin doesn't react on this but I think this one is better for oily/blemish and thicker skin types instead of sensitive and dry ones. I think it´s a solid product but not for my skin type. 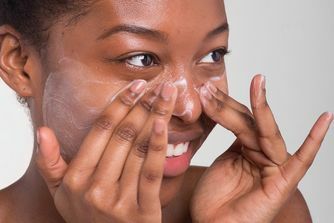 This is absolutely not the first cleanser to remove makeup! It’s quite an active second cleanser and you can definitely feel the tingle, which I like, and which works well on my oily congested skin after a balm cleanser. I think the description above makes it sound gentler than it is - it is rich and creamy, but there’s some punch to it as well. Great for those wanting some deep cleansing. If you want to use this to remove makeup, don't! Each evening I apply face wash in the shower to cleanse my face and remove my makeup. 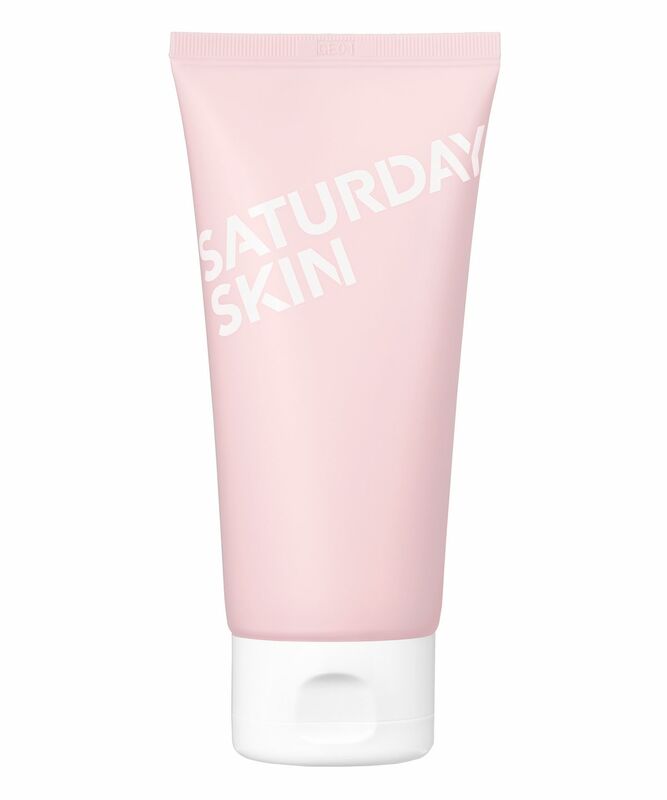 I have now used "Saturday Skin Rise + Shine Purifying Cleanser" twice and it is awful. It makes my eyes sting really badly (even with them closed as tight as possible) within a couple of seconds - no other face wash has ever done this - and it leaves my skin feeling not smooth but almost sticky, even with lots of rinsing. I always gently massage face wash around my eyes to remove mascara. Most do the job well well, some don't actually remove the mascara very effectively, but never before has the eye-stinging occurred with a face wash. This creamy face wash is actually quite gentle on my skin and I have sensitive skin. At first, I was a bit apprehensive due to the ingredients (which included lemon). But after using this product for a whole week my face did not break into a rash nor did it turn red. It just felt hydrated and supple. A tiny pea size is all you need for the entire face. This is absolutely not a makeup removing first cleanse! I have oily congested skin and this works very nicely as a second cleanse after my first balm cleanse. It’s got a tingle to it and feels like it’s giving me a good deep cleanse, but doesn’t feel stripping. I definitely wouldn’t use it on the eyes though.